Dovid Katz has written dozens of short stories that depict the life and Dovid Katz explores the culture of the old-time Lithuanian Jews (Litvaks), especially their misnagdic religious tradition and psyche, which differed greatly from that of the khasidim, whose culture is far more familiar to most American Jews. He set himself the task of redressing the balance by masterfully and immersing himself in the long-lost milieu that he brings to life on these pages. The present volume comprises 13 of his most compelling and accessible stories, translated into English by Barnett Zumoff, America s leading translator of Yiddish literature. DOVID KATZ, born and educated in New York City, has become one of the world s leading authorities on the origins, history, and dialects of the Yiddish language and on the culture of the northeastern European (Lithuanian or Litvak) Jewish civilization. He has written and edited many scholarly books in these fields, among them Origins of the Yiddish Language (1987); Dialects of the Yiddish Language(1988); Oxford Yiddish IIII (1990-1995); Words on Fire--The Unfinished Story of Yiddish (revised edition, 2007); Windows to a Lost Jewish Past (2008); Seven Kingdoms of the Litvaks (2008); and Lithuanian Jewish Culture (revised edition, 2010). 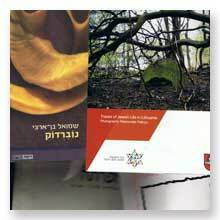 He was also the founder of the Yiddish Studies programs at Oxford University and at Vilnius University in Lithuania. 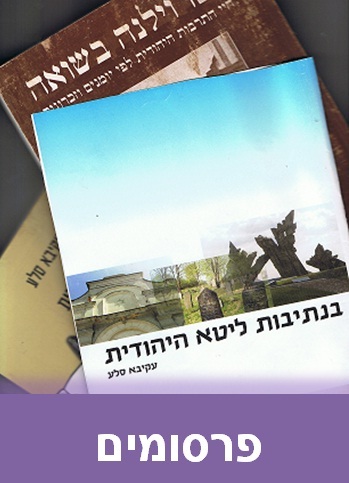 His book of charming and brilliantly written short stories about the old-time Lithuanian Jews, Misnagdishe Mayses fun Vilner Gubernye (Tales of the Misnagdim from Vilna Province) (1996) is the basis of the current volume, which presents translations of 13 of the stories from that book.